Joyfully promoting values and cultural heritage & local popular touristic destinations. By profession, I have been a geography teacher for almost 20 years, but by vocation I have been a storyteller all my life. My training and my passion have led me to become an authorised local tour guide and I love delivering walking tours of the old historical city centre to enthusiastic tourists, as part of an independent registered business activity. From time to time, I also do volunteer work in this regard, as a humble contribution to the community. Before choosing one of the 2 guided tours featured for you, mind that the architecture of the historical monuments in Brăila dates mostly from the 19th century, and also ceramic artefacts dating from 5000 B.C. have been discovered as ancient living evidence in the archaeological site of Brăiliţa and are now displayed in the local History Museum, “Carol I”. Caressed by the waters of the Danube River and enriched by the fertile land of the Bărăgan Plain, the town developed as an Ottoman fortress (kaza), then as a cosmopolitan port and city, offering huge business opportunities for the Greek, Jewish, Armenian and Italian entrepreneurs and ship owners of the 19th century and even the beginning of the 20th. Strolling along the narrow, radial, old streets can help to discover the local cultural heritage and feel the eastern European spirit, even if time has left its mark on the decaying buildings. And there are a few of them! Listening to stories can also add extra value to your knowledge and your time spent around. I wouldn’t spare any advice or any effort, in case you have extra questions, or you’d like to have a coffee break during the tour, or stop for a delicious lunch on the bank of the Danube or somewhere else. Briefly, HERE are the 2 guided tours that I can provide to tourists and which may keep your curiosity alive for about 2 hours (or I could tailor one, especially for you). 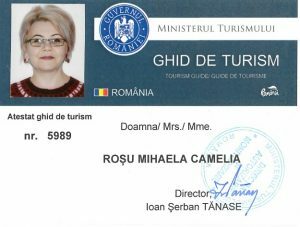 I am looking forward to guide you through the beautiful City of Brăila!